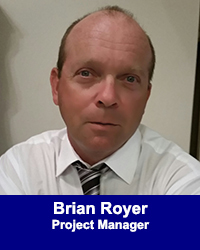 Brian Royer - California Consulting, INC.
Brian Royer, JD, as its newest project manager, working out of our Central Valley office. He received his Juris Doctor from Vermont Law School with an emphasis on federal resource law and Native American legal studies. Mr. Royer’s interest in resource law began at an early age through a seasonal backcountry internship with the California Conservation Corps, building trails in Kings Canyon National Park, which subsequently turned into a 14-year career with the National Park Service and US Forest Service agencies. Mr. Royer graduated from Vermont Law School with a strong focus in federal resource law. He clerked for the US Department of Interior in Santa Fe, New Mexico, providing legal analysis for senior staff on issues pertaining to the National Environmental Policy Act, National Historic Preservation Act, and the Federal Torts Claim Act. He also served as a student clinician with the school’s Indian Country Environmental Justice Clinic. After returning to California, Mr. Royer has worked in the private sector as a legal regulatory consultant while furthering his grant writing experience with federal and state agencies. California Consulting is pleased to welcome Mr. Royer to our Central Valley office, as we continue to strengthen our Central Valley clients’ position statewide with our advocacy, grant writing, and research services.